We normally write sentences in the active voice, which means, the subject is usually the doer of the action or verb. However, sometimes, the bearer can come first. When this happens, the verb is in the passive form. 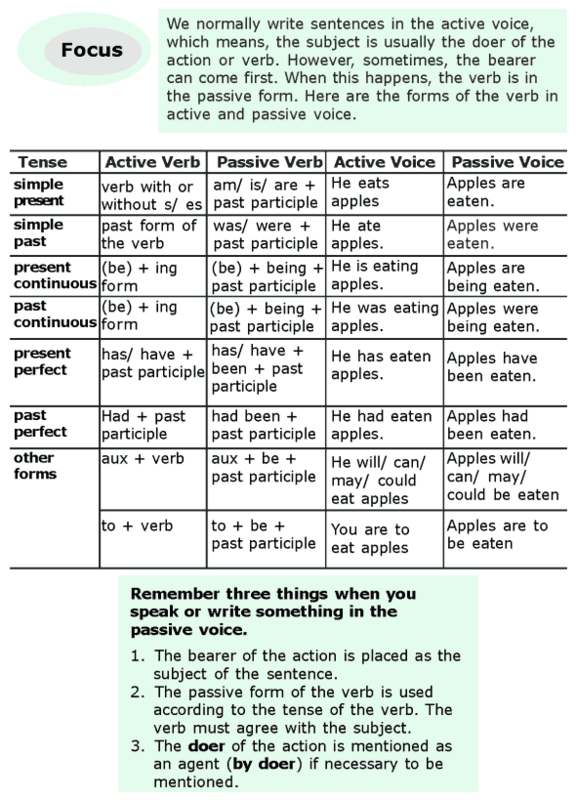 Here are the forms of the verb in active and passive voice. Remember three things when you speak or write something in the passive voice. The bearer of the action is placed as the subject of the sentence. 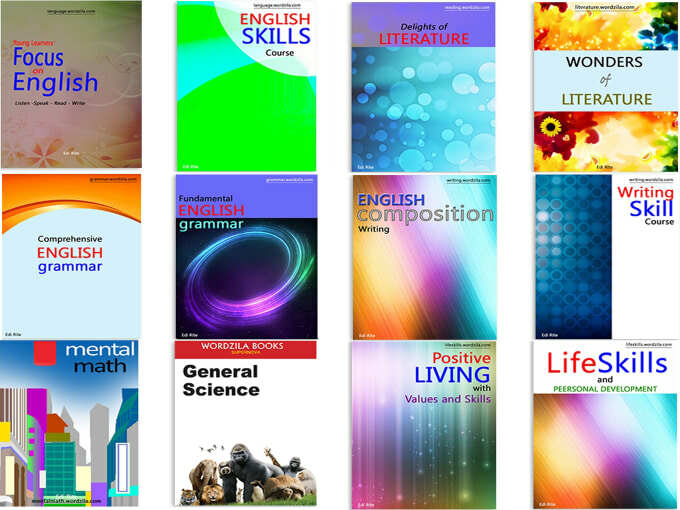 The passive form of the verb is used according to the tense of the verb. The verb must agree with the subject. The doer of the action is mentioned as an agent (by doer) if necessary to be mentioned.